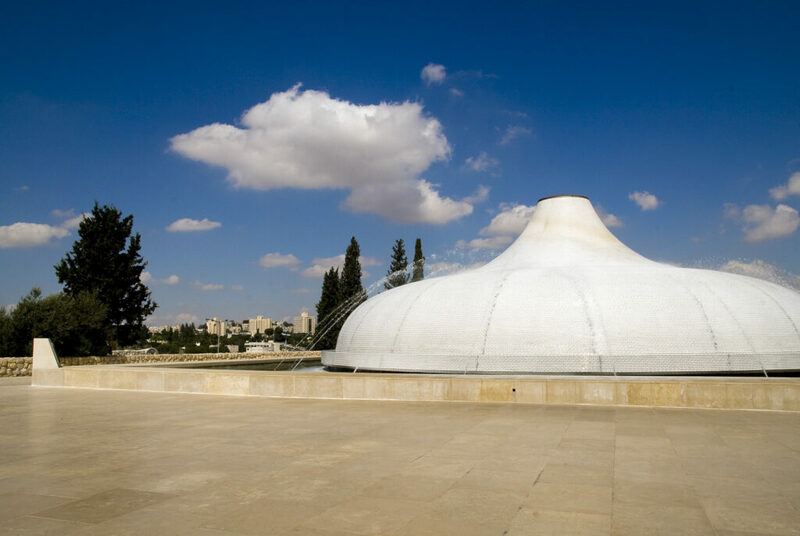 Israel, usually marketed as a destination for religious pilgrims, has many unique sites that non-sectarian families can learn from. During my fully-escorted weeklong tour in December, 2018, I discovered 16 experiences that have had lasting impact. I also corrected several misconceptions, including that the climate was warm and dry; it’s not necessarily so in winter. All faiths flock to the Church of the Holy Sepulchre, commemorating the rock where Jesus was crucified. Jerusalem rises like a golden haze above rolling hills, some on the West Bank capped by domed mosques; others crowned by the many startups that call this city home. On practical terms, we stayed at the Prima Kings Hotel Jerusalem, a convenient base for sightseeing just outside the Old City. Although Jerusalem has a large Ultra-Orthodox population, there are enough tourists to support several non-Kosher restaurants. We ate very well; try Satya for Indian-European dishes, Zuni in the Nahalat Shiva quarter for late night burgers and Bistro Joy in the international luxury Malmilla Mall. Here are my top seven experiences in Jerusalem. At Yad Vashem, the Holocaust Museum in Jerusalem, visitors exit into the light with hope. Feel the pain at Yad Vashem. The multimedia Holocaust memorial is an important first stop for ages 13 and older. Packed with artifacts of religious persecution, the assembled pain helps visitors understand how Israelis view Israel’s place in the world today. Their Holocaust educational materials are full of smart ideas to discuss what you’ve seen. Explore the Old City of Jerusalem. The many historical and religious sites which are venerated by Jews, Muslims and Christians are a must-see, no matter your faith. Stroll the ticketed Ramparts Walk atop the Old City Walls or, for those with mobility issues, take the Old City Train. You’ll appreciate how the golden ‘Jerusalem Stone’ limestone buildings (a design requirement of the British Mandate of 1923) gives the city its famous glow. Rain or shine, visitors come to the Western Wall to pray or just make their wishes known. Find passion at the Western Wall. Known also as Kotel or the Wailing Wall where men and women pray separately, it dates to 37 BCE and is considered Judaism’s most sacred site. Join the faithful by pressing your prayer notes into the cracked limestone, where rabbis collect and burn up to 1 million annually, sending the prayers up to Heaven. Everyone does it. Go deeper on a Kotel Tunnel Tour. The Western Wall Heritage Foundation provides knowledgeable guides who go deep under the Western Wall to explain the religious significance of Mount Moriah, the two temples which stood there and the historical context of Jerusalem’s Old City. It’s the real deal; for me, the key to understanding Jerusalem’s significance in the world today. Jerusalem’s central market is a feast for the senses and welcomes visitors to sample Israel’s varied cuisine. Feel like a local at Mahane Yehuda. This teeming produce, fish and meat market is the heart of the Israeli kitchen, open daily except the Sabbath (Friday afternoon to Saturday evening). Follow the dense lanes into the Christian, Armenian and Arab Quarters, where buyers and sellers mix. (Abu Shukri has won prizes for serving Jerusalem’s best hummus.) The market is busiest on Thursdays and at night, when many shops open as bars and music clubs. Ogle at the Shrine of the Book. It’s part of an extraordinary collection of new and old artifacts at the Israel Museum, kept in its own architecturally distinct wing. Popularly known as the Dead Sea Scrolls, hundreds of parchments inscribed with segments of the Old Testament were found in jars hidden in caves around the Dead Sea. Read up or hire a guide (there are occasional family activities in English) to appreciate why they are priceless. Wake up on West Bank Tours. Explore current events, politics, the wall, Israeli settlements and daily life for Palestinians. Several one to multi-day West Bank tours depart from Jerusalem and many visit the Banksy project, Walled Off Hotel. Graffiti and street art are seen all over Tel Aviv, a walkable city teens will enjoy. Tel Aviv is full of young people in skinny black jeans, checking their mobiles, drinking lattes, on scooters, or all of the above. While the mix of old and new, low-rise and high-rise architecture resembles Brooklyn, the mood of this beachfront city is more comparable to laidback Santa Monica. It’s fun. We loved the food, starting with our meal at Ha’Achim, a casual hipster joint serving Israeli vegan where herbs growing on the bar counter are clipped as garnish. Vicky Cristina is the stylish tapas bar hotspot at the Old Turkish Railway Station at Manshiya (Tachana), now an entertainment area. Bino bePitta, on Rothschild Avenue, boasts a sleek open kitchen where you can watch the team grill and roast meats to accompany tasty salads and thick pita. Here are five things to do to get to know Tel Aviv, or TLV as it’s fondly known. Neve Tzedek. TLV’s oldest neighborhood is full of winding alleyways and charming stucco houses that have been restored into one-off shops, cafes, museums and galleries. We didn’t need to see “Wonder Woman” star Gal Gadot’s house to appreciate this is a hot neighborhood for young families. Our press group and guide Ziva Cohen pose with former prime minister Ben-Gurion along Tel Aviv’s Independence Trail. The Independence Trail. Learn about the country’s independence history around the Meir Dizengoff House (site of the signing of the Israeli Declaration of Independence.) The information booth on Rothschild Boulevard rents iPads with clever, interactive history chapters about several Tel Aviv monuments and the Shalom Tower, a shopping mall built on the site of the first Hebrew language ‘gymnasium’ (high school) in the world. It’s easy to imagine the way all of Tel Aviv once looked when you explore the back lanes of Jaffa, the city’s old port. Old Jaffa. The walled citadel above the southern part of the city once guarded the ancient seaport. Take in the texture of historic stone buildings that have been converted into high-style hotels in a neighborhood rapidly being gentrified. There’s a funky Flea Market (most active Tuesday and Thursday) where elderly merchants trade tools, cheap clothes and auto parts and nearby, cobblestone lanes with shops featuring fashion-forward, handmade goods from local artisans. Bike the beach. Explore 16 white-sand Mediterranean beaches using the city’s bikeshare system (e-bikes and Bird electric scooters also available; helmets recommended.) Stop for a selfie with the playful statue of former Prime Minister Ben-Gurion doing a yoga headstand, watch surfers and swim in summer, when lifeguards are on duty. Tal Hotel by the Beach is a good base near Metzitzim Beach for summer visitors, and public buses and taxis make sightseeing easy. The boardwalk along the Mediterranean coast of Tel Aviv is the best place to bike in the city. Carmel Market. The city’s lively covered market has some street food tucked between the spices, dried fruit and nuts. On Tuesday, combine a visit to the upscale Nachlat Binyamin Arts & Crafts Fair to meet local artisans. “Israel is a small country, but we are very noisy,” said our wonderful guide Ziva Cohen, acknowledging how famous her homeland has become. We were happy to see the quieter countryside outside these two very different cities. From several unforgettable excursions, these are the favorites. Go blind and see the light. The Israel Children’s Museum, a huge complex in Holon about a half-hour from Tel Aviv, is focused on building empathy through guided, hands-on experiences of disabilities. As if play is not enough, by-reservation tours for ages 9 and older explore sight, hearing and aging. We became “blind” in a pitch-black environment with only a cane and the reassuring voice of our blind guide to lead us. An eye-opening experience. Live the Bible and learn its wisdom. Neot Kedumim Biblical Nature Reserve, between Jerusalem and Tel Aviv, is a hand-crafted landscape contoured to resemble Biblical scenes, with guided activities designed to bring Bible stories to life. We sampled their VIP Family Experience, including shepherding real sheep (much harder than you think), making food and tree planting. Our fascinating guide Yair gave leadership lessons, identified herbs and kept us enthralled. Fascinating journey into some of the world’s great religions. Check the Dead Sea off your bucket list. It’s most Instagrammable when seen from the palisades, above salt marshes and the Jordanian shoreline. Wade in! The super-salty water and mud are considered medicinal and Neve Midbar Beach has changing rooms. Masada is on a desert plateau above the Judea Desert and from the hiking trail, you can see views of the Dead Sea. Sacrifice time at Masada. Ascend a plateau within sight of the Dead Sea by cable car or on foot to see excavations of the fortress-palace built by King Herod, last stronghold in the Jewish revolt against the Romans (in 73 CE.) A good guide will bring this UNESCO World Heritage Site’s story about freedom and self-sacrifice alive for history buffs. Please let me know in the Comments section your favorite parts of an Israel visit.